So you’ve only got 2 days in London and you’re looking for the perfect London itinerary? Well, here it is! First though, I will say that London has so much to offer, if you can extend your stay definitely do so. I know I am a bit prejudice because I was born there, and return to visit every couple of years, but I honestly think that London is one of the most amazing cities in the world. This city is full of history, tradition and beautiful classic architecture but it is also young and hip and vibrant. There really is something here to excite everyone. If you love a buzzing metropolis you will never want to leave and if you don’t think you’re a city person London will be the one to change your mind. Luckily, although 2 days in London is not nearly enough to see all it has to offer, the main sights are in a fairly compact area making it possible to get a pretty good overview. Much of it can be walked and what can’t be is easily reached by transit. If you have a London trip planner like this one you won’t waste a minute of precious time. There are several airports within an hour of central London. If you are flying in on an International flight there’s a pretty good chance you will fly into the massive Heathrow airport. If this is the case we highly recommend using public transit as it is fast and convenient and can also be very cost effective. The regular underground, aka “the tube” is the cheapest way and will get you downtown in under 1 hour. A bit more costly is the Heathrow Express which gets you to Paddington station in about 15 minutes. TFL Rail takes about 30 minutes and the National Express coach takes about 1 hour. From all other airports, like Gatwick and Stanstead, the options are more limited. There are various coach lines offering the most cost-effective, but time consuming, options. Otherwise, taxi or pre-booked transfer is the way to go. We used Tourshuttle when we flew into Gatwick from Seattle and it was wonderful. The last thing you want to do after a long flight is get on a bus, so having a private car waiting for us was a life saver. Plus, unless you are traveling solo, the cost is not that much more that buying tickets for the coach. You just give them your flight details and your driver will track your flight and will be ready to whisk you away in comfort and security. It’s also great if you have an early morning or late night departure flight as the public transit may not be running as often. Big, busy cities like London can be intimidating at first, but London transport is actually quite easy to master. Especially if you take the time to orient yourself, know your options, and look at the transit map ahead of time. Transport for London (TFL) is a must to have on your smart phone. Here you will find maps and fares for all modes of public transport and a really useful feature of “Plan Your Journey” which will tell you exactly what your options are. Taxis: There are an abundance of taxis in London including the handsome black cars that you can flag down or find at taxi ranks. There are also mini cab services where you can arrange for pick in a regular taxi car. For now, you can also use Uber but there are threats of shutting them down. However, a taxi is usually the most expensive option and with the London traffic it is not always the fastest or most convenient. Pro Tip: An Oyster travel card covers all the public transit in central London. You will get better rates than buying individual fare tickets or Day Travel cards and there is a daily cap which means once you reach that point your transit is free the rest of the day. London Underground and Overground: You may take one look at the tube and train map and run for a taxi stand but that would be a mistake. The system may look confusing at first but it is actually very well laid out and easy to use. We have used undergrounds in many countries and London is one of the easiest to figure out. As with the buses you will need to purchase tickets, a Day Travel card or Oyster card or use a contactless bank card at the turnstyle. Also, remember to keep your card handy when you exit as you will need to scan it again. London Pass: The London Pass gives you access to more than 80 London attractions including most of the “must sees,” the Hop-on Hop-off buses and the Thames River Cruise. It also gives you fast track entry to some really popular sights that often have long lines. To move between all these sights you can add an Oyster card to your London Pass to give you maximum convenience. If all you have is two days in London it is imperative that you stay somewhere central or at least near a tube station within a few stops from the main sights. Although by no means covering all the option in London, the areas listed below would be our top choices for a short stay for their convenience, security and experience. When researching and booking accommodations in London there are a couple of different options we recommend. If you want a place with a kitchen and separate bedrooms, look for a serviced apartment, like SACO listed below, or go to the Airbnb site and search for places with good reviews in your price range. If you are looking for a hotel, guest house or hostel we suggest you start with Hotels Combined. This search and booking site is great because it shows pricing from all the other big booking sites allowing you to get the very best deal available. This may be the most popular area for first time visitors to London as it is right in the heart of this lively city. The West End includes Covent Garden, Soho, Leicester Square, Oxford Street and Mayfair so you are just steps from some of London’s most exciting activities. Here you will find most of London’s famous theaters along with great shopping, markets, restaurants, nightlife, and of course iconic English pubs. As is usually the case, convenience has a price which means that it is difficult to find budget accommodation in the West End. It is mostly 4-5 star hotels. Check pricing and reviews for accommodations in London’s West End here. Not as much in the center of things but still walkable to the West End, this area has excellent transport links and is a great choice for a quieter stay with a lower price tag. There are plenty of places to eat and shop for food and the streets have a neighborhood feel. You are also very close to the British Museum. We once stayed at a SACO serviced apartment in Fitzrovia and really enjoyed it. The clean, modern, spacious apartment had everything we needed and was just a 5 minute walk to the nearest tube station. SACO has several locations around London and is a great choice if you are a group or just like having more space and a kitchen. Check pricing and reviews for accommodations in Fitzrovia here. Centrally located near the edge of the West End and very convenient for getting in and out of London. Not only is it a great base for sightseeing but Victoria also offers a wide range of accommodations, from budget to high end. If you are in London during the work week the prices tend to be even better. Here you are walking distance to Buckingham Palace and there are plenty of transport links. 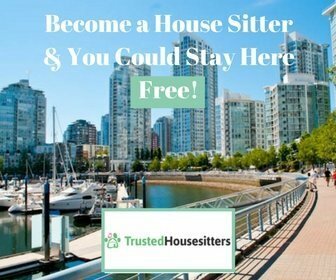 Check pricing and reviews for accommodations in Victoria here. A quieter area with a posh neighborhood feel this is home to some of London’s most expensive homes. However, there are some affordable accommodations here also. There are good restaurants and plenty of brand shopping to be had in the area but be warned the prices will be higher reflecting the higher end neighborhood. Some highlights here are the famous Harrods department store and the Victoria & Albert Museum. Check pricing and reviews for accommodations in Kensington here. Cross the River Thames and you’ll be on the South Bank where you will find some of London’s most popular attractions including the London Eye. On a nice day, a walk along the South Bank will take you past wonderful views, popular restaurants and bars, Shakespeare’s Globe Theater and the modern Shard building. Check pricing and reviews for accommodations in London’s South Bank here. For a true experience start your day will a full English breakfast consisting of eggs, bacon, sausage, mushrooms, baked beans and toast. If that sounds too heavy grab a delicious Cornish Pasty at one of the many stands around the city. Getting there: The closest underground stop is the Tower Hill station on both the District and Circle lines. The Tower of London is a must for all first time visitors and even many return visitors. I myself have been at least a dozen times over the years and I still thoroughly enjoy it. This is the site of many fascinating and rather morbid historical events including numerous be-headings by King Henry the VIII. Be sure to go and see the Crown Jewels and take a humorous and informational Beefeater tour, both are included in admission price. Tickets can be purchased online in advance at a discounted price. The Tower Bridge Exhibition takes you in, up, and across this iconic London landmark. You can look out at the city and up at the towers from the high-level walkways or look down to the River Thames through a glass floor walkway. Once you’ve crossed the bridge you can explore the massive engine rooms where the steam engines, coal burners and accumulators are all on display. Tickets can be purchased in advance to save waiting in line. However, tickets are not for a specific date and time so you will still need to allow time for validating and security checks. Getting there: It is less than a 15 minute walk from Tower Bridge to the Shard. Take the route through Potters Fields Park for some stunning views of the bridge. The modern, glass, Shard building offers the best and the highest views in all of London. From the 72nd floor you have a 360-degree view for up to 40 miles on a clear day. This is definitely the place for those birds eye view photos of the city and also a great place for a glass of champagne! Book in advance for dated and timed tickets or just purchase on site. They even have a policy that allows you to return if the weather is bad on the day you purchased tickets for. Getting there: The Borough Market is a 5 minute walk from the Shard. The fabulous Borough Market is a must for foodies, market lovers or anyone looking for a delicious lunch. You will find everything here from fresh produce to local and imported cheese and meat to specialty items and baked goods. For a sit down lunch there are numerous cafes, bars and restaurants to choose from or for a quicker bite try one of the street food stands. You could also grab picnic items from the many vendors to eat in the park or on the cruise which is up next. Getting there: The walk from Borough Market across the London Bridge to Tower Pier takes about 20 minutes. You could also take a ferry from the London Bridge City Pier which leaves every 30 min. There are a couple of different cruise operators but we used City Cruises which departs from Tower Pier every 40 minutes and makes stops at the London Eye and Westminster piers. It is a great way to see some of the city landmarks and the busy banks of the Thames. The boats have both inside and outside seating so they’re good for all weather conditions. If you are not using London Pass there are a variety of ticket types available. However, for this itinerary a single journey ticket is all you need. Getting there: Get off the boat at the London Eye. The South Bank area is home to some of London’s popular sights including The London Eye, The London Dungeon, SEA LIFE London Aquarium and Tate Modern. You will also find plenty of shops, bars and restaurants here so you can be entertained and fed for the whole evening if you wish. There are also seasonal events on the South Bank. In the spring and summer there is live entertainment, food and drink stands and festivals and activities for all ages. In the fall and winter there is Oktoberfest and the Christmas market. London Eye: This massive sightseeing Ferris Wheel is a great way to see London from above at any time of day. Of course, if the weather and visibility is bad you may want to skip it. It is one of London’s most popular sights so it is advisable to book in advance online where you will also get a discount. If you haven’t planned ahead you can go to the ticket office and they will give you the next available time to board. Tate Modern: Home to an impressive exhibition of international contemporary and modern art which is absolutely free to visit. Getting there: It is an 8 minute walk from the London Eye, across Westminster Bridge and to the Parliament Buildings. There is actually a great view of the Parliament buildings and Big Ben from South Bank but it’s nice to get an up close look. Plus the closest tube station is over there. Depending on what time of year it is you may find it’s dark by the time you cross over. In all honesty, at least until mid-2021, it is probably better to see it at night. The reason being that the iconic clock, Big Ben, is under scaffolding until then so it will look nicer at night when everything is lit up and you can’t see the works going on. As mentioned, there are a fair amount of restaurants on the South Bank if you choose to have dinner there. However, if you’re anxious to see as much as possible in your limited time in London, and you’re not too exhausted from the full day, it may be a good idea to move on to a new area for the rest of your evening. Once you’ve crossed the bridge to the Parliament Buildings, go to the Westminster underground station where you will find the Circle, District and Jubilee lines. This means you can easily get to some of the best areas for dinner, entertainment and the experience of London at night. Some good options are Covent Garden, Leicester Square, Piccadilly Circus or Soho. There are literally hundreds of restaurants, pubs and bars to choose from in these areas. You can find pretty much every nationality of food and a price range. So rather than try to make suggestions here we are working on a post specific to that topic and will link to it here when it’s published. In the meantime feel free to message us and we can chat about some of our favorites. When you have limited time in a city a Hop-on Hop-off Bus Tour is a great option. It gives you the opportunity to get a good overview of the main sights and also allows you to stop at a couple of them for a more up close look. There are a few companies in London to choose from and they are all pretty comparable. We took the Big Bus, which is covered with London Pass, and we chose the Red Line Tour because it has live guides which can be more fun than the recordings. The duration of the Red Tour is about 3 hours, if you don’t get off at any of the 27 stops. However, if English is not your first language, or if you want a more complete tour, you may want to go with the Blue Route. This tour has the commentary recorded in 12 languages and lasts about 4 hours without getting off at any of the 39 stops. Whichever bus company or line you choose we suggest some of the following stops to hop off. You can try to stop at all of them but it may turn into a very long and possibly stressful day. If you are a sightseeing ninja go for it! If not, you’ll have to make some cuts based on your stamina and what are “must sees” for you. If you make your last Hop-off Trafalgar Square or Piccadilly Circus you will be in a perfect location for the evening activities. This evening is all about experiencing the magic and excitement of London at night. Unless there is a West End show you just have to see we suggest making your way to one of the many box offices in Leicester Square. Here you will find good deals on same day tickets to all of the shows. Just ask for their daily specials. Most shows start about 7:30 pm so you will need to go for an early dinner. You will find that many of the restaurants near the West End cater to the theater crowd and offer special menus that are intended to get you on your way in time for the play. Going to a traditional English pub is a must in London and you will not be able to walk very far without running into one. They will all be pretty lively between 4 pm and 11 pm in this part of the city so just pick one that strikes you and that isn’t too crowded, unless you want a true London pub experience. Keep in mind that you may not always get a seat and that you will have to go up to the bar to order your drink. Londoners are quite used to standing with their drinks at busy times and you can always spill out on to the sidewalk if it’s decent weather. Note: It would make this post far too long to list all the great pubs in London. We are working on such a post and will link to it here when it’s published. In the meantime feel free to message us for personal suggestions. Or take a look at these great articles. As said at the beginning of this article you will only be able to scratch the surface of London in two days but this itinerary will certainly be a really good start. You will almost certainly want to return but don’t stop there. England may be a tiny country but there is so much more to see. From beautiful English countryside to rugged coastline and all the historic, scenic towns, villages, castles and manors in between, London is just the beginning.